With unprecedented advances in scientific research comes a growing body of data. Accurately interpreting these data is a significant obstacle to an improved understanding of biological systems and their behaviour during disease. 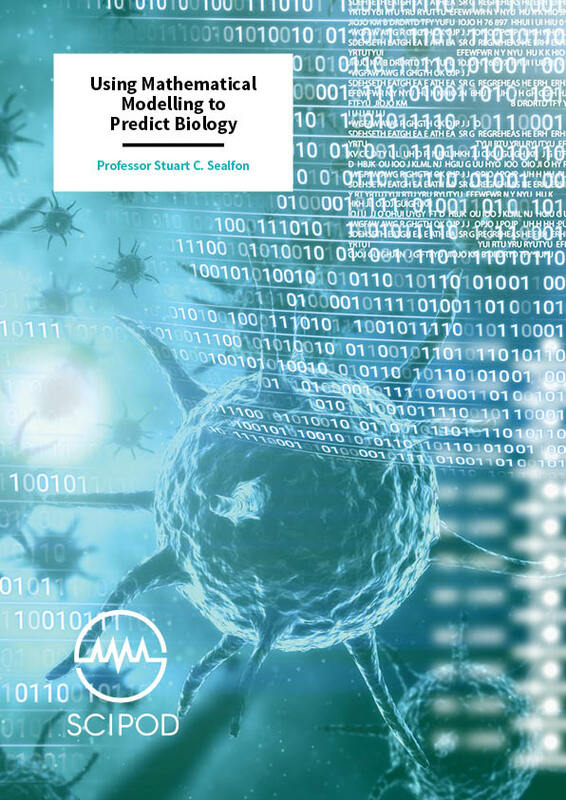 To overcome this challenge, Dr Stuart C. Sealfon of the Icahn School of Medicine at Mount Sinai is pioneering innovative approaches that incorporate mathematical modelling and computational prediction to further our understanding of human diseases. 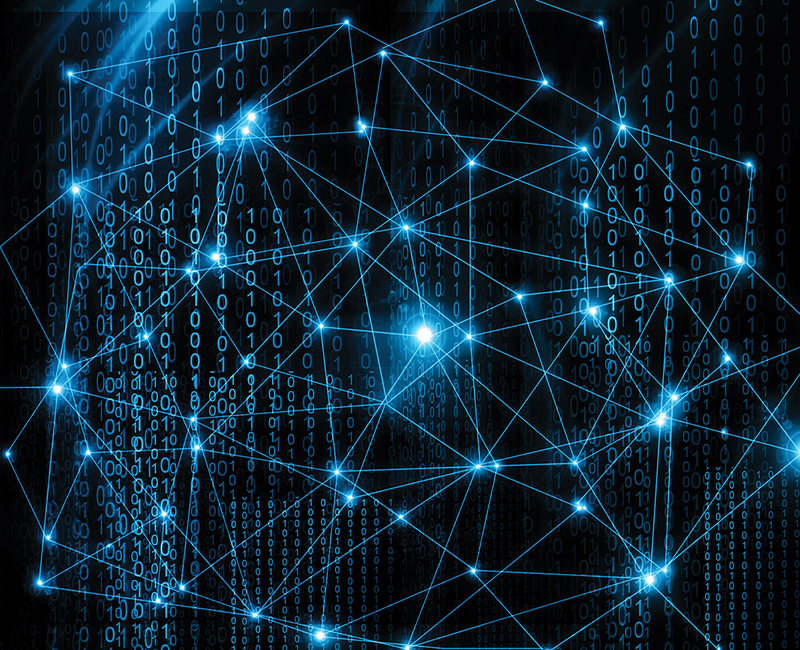 Researchers today are going to great lengths to improve the acquisition of scientific data and to enhance its accurate analysis and interpretation. A growing number of novel techniques are being developed and utilised to achieve this. Dr Sealfon, who also directs the multi-institutional Programme for Research on Immune Modelling and Experimentation (PRIME) – a National Institutes of Health (NIH)-funded Modelling Immunity for Biodefense Center – has pioneered numerous research approaches. These include experimental techniques used to measure the expression of various genes and the use of single-cell assays to reveal the intricacies of cellular signalling. His laboratory employs multifaceted methodologies that primarily involve the integration of mathematics, computer science and experimentation to make predictions about the responses of these complex biological systems to further understand disease processes. At present, Dr Sealfon and his team are undertaking five major research programmes that encompass an impressive range of scientific goals. 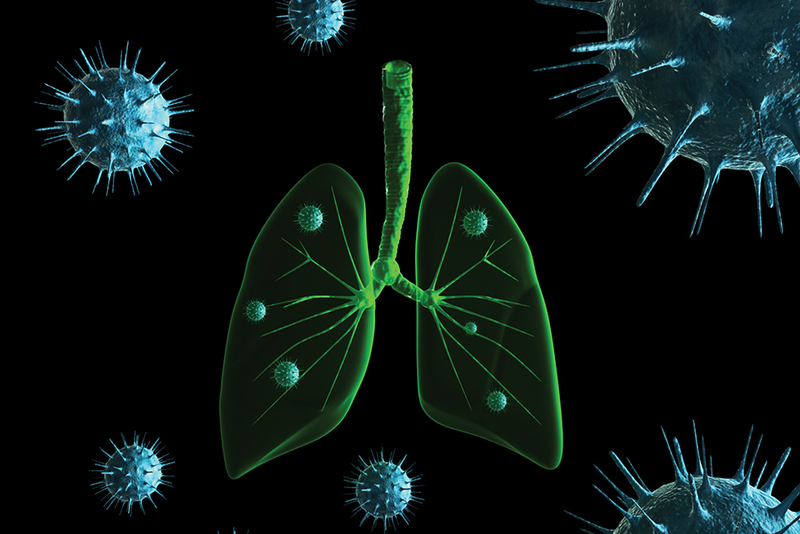 These include the development of experimental data-validated mathematical models of the response of the human lung to influenza infection, the identification of mechanisms underlying reproductive-hormone sensitive diseases, and the improvement of blood-based diagnosis of disease and different disease subtypes. Over the past decade, there have been remarkable advances in the use of ‘bioinformatics’ – a relatively new field of research that combines mathematics and computer science with biology. Under this umbrella term exists a multitude of research approaches that have allowed significant scientific breakthroughs in immunology, particularly in our understanding of the human genome and the identification of genes and biological processes underlying human diseases. However, the extension and interpretation of this rapidly growing collection of data are presenting fundamental challenges for experimental and computational immunology researchers. Questions are emerging from our increasing understanding of the interactions between the different components of the immune system and the pathogens or disease-causing organisms that trigger immune responses. Bioinformatic methods of scientific experimentation – such as multidimensional and high-throughput technologies that involve the screening of biological compounds for activity against defined biological targets through the use of automation or robotic systems, miniaturised assays, and large-scale data analysis – have led to the development of sophisticated mathematical models designed to address a wide range of questions that have been unanswerable using conventional scientific methods. By applying these techniques to several immunological diseases, in conjunction with more traditional data-driven approaches, Dr Sealfon and his team are examining complex immune system pathways and identifying the relationships between their components at both the cellular and molecular level, in both healthy individuals and those with infections or immune system-mediated diseases. Ultimately, Dr Sealfon is aiming to determine how the behaviour of the immune system in health and disease occurs as a result of molecular, genetic, cellular, and environmental influences. At the forefront of his current research, Dr Sealfon and his colleagues, with the aid of a grant from the NIH, are investigating the early immunological responses to influenza A virus – a significant cause of annual global illness and mortality. In the face of attack by the influenza A virus, the human immune system is able to prevent the establishment of chronic infection. However, many aspects of the development of this protective immunity and the maintenance of immune homeostasis or balance and an appropriate response in the human lung are largely unknown. Predictive immunological modelling – the use of mathematical modelling to predict immunological activity – is needed to understand this complex system. Using a range of techniques comprising mathematical modelling, single-cell assays, the study of native and laboratory isolated H1N1 influenza A viruses, and analysis of public human gene expression data, Dr Sealfon and his team have gathered detailed immunological data on the activity of human cells in lung tissue over a relevant time course. In particular, they have discovered more about the function of dendritic cells – cells that during infection, process and present pathogenic disease-causing materials or antigens to activate T cells, a type of white blood cell that plays a critical role in the immune response. Dendritic cells in the human lung play an important role in cellular immunity to the influenza A virus. Notably, Dr Sealfon and his colleagues have investigated the differences between the immunological responses of dendritic cells and T cells to pandemic viral strains that have the ability to spread widely compared to seasonal strains of influenza A viruses and have identified a novel mechanism that allows pandemic influenza A virus strains to evade the immune response. This work has far-reaching consequences, as enhanced insight into the integrated immunity to influenza A virus initiated in the lung may assist the development of viable treatments of influenza infections and improve influenza vaccines. In addition to his work on influenza viruses and the immune system, Dr Sealfon is also currently using an integrated research approach to uncover the underlying regulatory mechanisms behind common reproductive disorders. 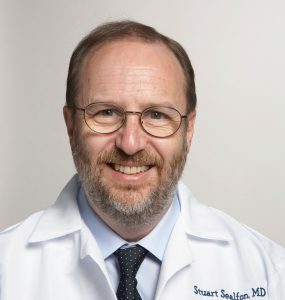 His work in this area is renowned, with earlier research being key in the discovery of Orilissa™ (elagolix), the first oral non-opiate therapy for endometriosis – a widespread reproductive illness affecting women that often involves long-term pelvic pain. Similarly to the immune system, the endocrine signalling system in the body depends on complex intracellular and extracellular relationships. 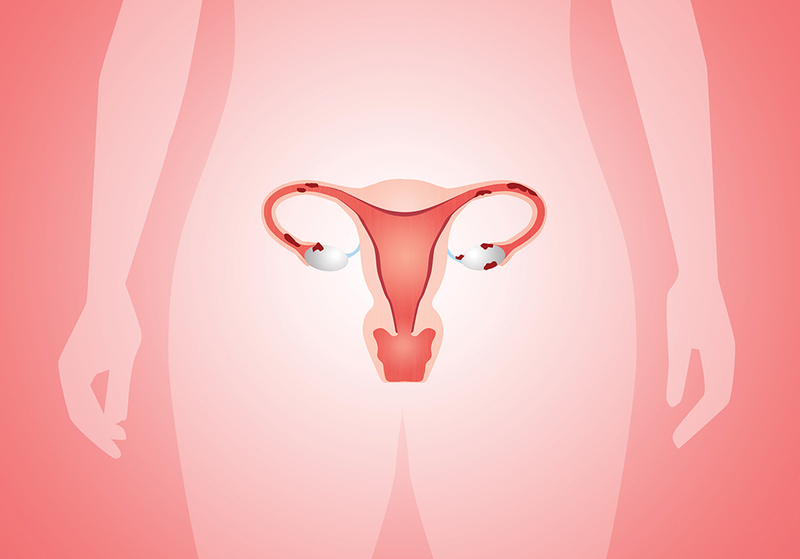 A key relationship exists between the nervous system and the endocrine system to control the reproductive system through the release of gonadotropin-releasing hormone (GnRH). This occurs through the hypothalamus – the portion of the brain that links the nervous system to the endocrine system via the pituitary gland. During puberty and throughout the female menstrual cycle, pulsatile release of GnRH from specialised hypothalamic cells coordinates the biosynthesis and secretion of the important female reproductive hormones – follicle stimulating hormone (FSH) and luteinising hormone (LH). Notably, higher GnRH pulse frequencies result in greater LH secretion from gonadotropes, specialised endocrine cells in the pituitary gland, whereas lower GnRH pulse frequencies result in greater FSH production. Although this action is relatively well known, a complete understanding of the signalling mechanisms supporting this regulatory system is lacking. To overcome this shortfall of knowledge, Dr Sealfon and his team developed three biologically anchored mathematical models to help identify the genes responsible for varying GnRH pulse frequencies. This task was aided by the employment of a high-throughput experimental system that permitted the team to analyse over 4,000 gonadotrope cell samples. The ongoing progress of this research has high potential. ‘We aim to determine the mechanisms underlying the complex response to hormonal stimulation patterns of the pituitary gonadotrope cell that underlies reproduction and the alteration of this system in reproductive-hormone sensitive disease,’ says Dr Sealfon. Indeed, the successful development of a predictive model of gonadotropin function that incorporates both intracellular and extracellular regulatory activity and is validated in human patients has the potential to advance the treatment of many hormone-sensitive diseases. In short, Dr Sealfon’s research accomplishments are wide-ranging and have addressed a variety of research topics, such as finding new signalling pathways that are activated by drugs for Parkinson’s disease and finding a new brain receptor complex implicated in schizophrenia as a potential target for novel antipsychotic medication. In addition to disease mapping, his projects also include collaborating on the development of a gene map of the molecular responses to acute exercise and exercise training. Additionally, to encourage collaboration across scientific fields, particularly between modellers and experimentalists, Dr Sealfon and his team have contributed to the development of a range of computational tools and resources for interpreting large-scale experiments and the mining of public data. These efforts have significant value, as greater success in predictive analysis will benefit from the additional data and the subsequent release of more experimental and clinical trials data to the public. This could prove invaluable for new scientific discoveries or for predicting why drugs might succeed or fail in the clinic. Dr Stuart C. Sealfon, MD, is Glickenhaus Family Professor and Chairman Emeritus of the Department of Neurology, the Director of the Center for Advanced Research on Diagnostic Assays (CARDA), and Professor of Neurobiology and Pharmacology and Systems Therapeutics at the Icahn School of Medicine at Mount Sinai in New York. Dr Sealfon joined the Icahn School of Medicine in 1986, after completing his medical training at Columbia University and his post-doctoral internship and residency at Massachusetts General Hospital in Boston. He is the author of multiple book chapters and is currently the Review Editor of Molecular and Structural Endocrinology at Frontiers in Endocrinology. He has contributed to more than 100 original research articles and holds various patents for his work including work on the Gonadotropin Releasing Hormone Receptor which led to the new drug to treat endometriosis elagolix (Orillisa™). BM Hartmann, RA Albrecht, E Zaslavsky, G Nudelman, H Pincas, N Marjanovic, M Schotsaert, C Martínez-Romero, R Fenutria, JP Ingram, I Ramos, A Fernandez-Sesma, S Balachandran, A García-Sastre, SC Sealfon, Pandemic H1N1 influenza A viruses suppress immunogenic RIPK3-driven dendritic cell death, Nature Communications, 2017, 8, 1931. E Stern, F Ruf-Zamojski, L Zalepa-King, H Pincas, SG Choi, CS Peskin, F Hayot, JL Turgeon, SC Sealfon, Modeling and high-throughput experimental data uncover the mechanisms underlying Fshb gene sensitivity to gonadotropin-releasing hormone pulse frequency, The Journal of Biological Chemistry, 2017, 292, 9815–9829. SH Kleinstein, AJ Butte, MC Altman, R Hammond, SC Sealfon, Solving immunology, Trends in Immunology, 2017, 38, 116–126.